Here is a delightful crunchy recipe perfect for the warm weekend from our friends at Vegetarian Times. 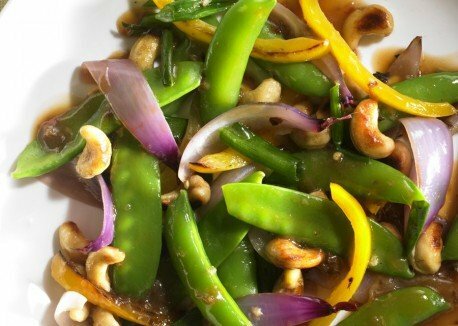 Cashews add crunch and protein to this colorful stir-fry. You also can make the dish with frozen sugar snap and snow peas. Just add to the mix, and stir-fry a little longer than you would fresh peas. 1. Whisk together soy sauce, sesame oil, cornstarch, chile-garlic sauce (if using), and 1/2 cup water in small bowl. Set aside. 2. Heat vegetable oil in wok over high heat. Add onion, bell pepper, cashews, and ginger, and stir-fry 2 to 3 minutes, or until onion and cashews begin to brown. Add snap peas, and stir-fry 1 minute. Add snow peas and green onions, and stir-fry 2 to 3 minutes more. Add soy sauce mixture, and cook 1 to 2 minutes more, or until sauce has thickened and vegetables are coated with sauce. Foodie Friday is one of my FAVE items to share with our Curateurs… and like MANY of you we are inspired all week via our pinterest page. 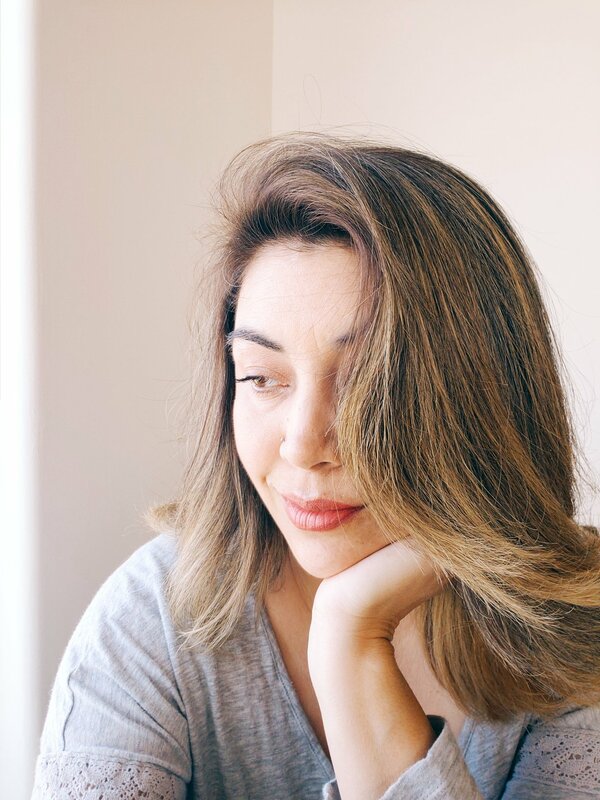 (*swoon*) It is always so difficult to choose just one thing I will commit to trying over the weekend but with the beautiful spring weather upon us (and a casual luncheon I am hosting Sunday), The Cheeky Kitchen’s Brooke McLay has won me over. The gorgeous picture of the classic wedge salad was EXACTLY what I needed. It kick started not only the food theme but the table decor theme too. Look at how beautiful a wedge salad stands tall and invitingly on the plate! Words like Clean, Fresh, Crisp, come to mind. Luckily, the Cheeky Kitchen has given Curateur Mag the go ahead with sharing the recipe with you too. Try it this weekend! I’ll post my version on Facebook (you know… that little social network) Monday. Let me know how yours turns out. 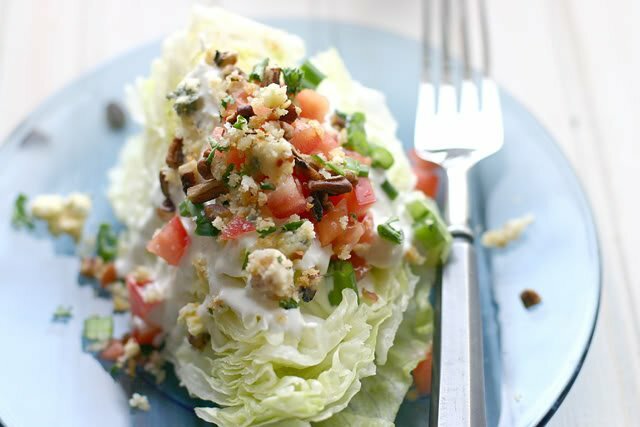 Wedge Salad w/ Smoky Bleu Cheese Dressing — YUMMY! Creamy, homemade bleu cheese dressing is easier to make than you might think. Chance are, it’s also more fattening than you could have ever guessed. Mayonnaise and sour cream combine to give this dressings it’s signature flavor and texture. That addition of mild, smoked blue cheese makes this a dressing that even blue cheese-haters might enjoy. In any case, blue cheese lovers (that’s me), will likely consider this salad better than dessert. Thank goodness, it’s nearly as caloric as most chocolate cakes. But, gosh it’s good. Serve alongside steak, burgers, or chicken wings & you’ve got yourself a meal. In a medium bowl, whisk together the mayonnaise, vinegar, honey, sour cream, milk and garlic until smooth. For a thicker dressing, omit the milk. Stir in the blue cheese crumbles. Serve immediatley, or store in the fridge in an airtight container for up to 1 week. Make sure your lettuce is very cold. Pull it from the fridge just before serving and work quickly to get it on the table really cold. The salad is gorgeously delicious this way. Remove the root end from the bottom of the head of lettuce. Slice the lettuce half, then into 4-6 wedges (depending on your preferred size). Drizzle with homemade Smoky Bleu Cheese Dressing, and top with your favorite toppings (I like all of the above together for the ultimate wedge sandwich).